Build the capacity of three new First Nations community champions to plan and implement energy efficiency projects. Encourage peer mentoring and share best practices in energy efficient housing. Support First Nations communities in designing their own training initiative to address an educational need. Participants in the One-on-One Support Program have access to ongoing advice for current energy efficiency projects, advice and support for funding applications, and connections to support organizations. In addition, the program provides up to $5,000 for community capacity building and training that participants are free to design themselves. Snuneymuxw held a series of community workshops with the goal of changing attitudes on energy habits and preparing community members for home rental or home ownership. In order to get higher community participation, Snuneymuxw combined the "Gimme Shelter" housing curriculum with energy-related discussions. To educate community members, they also created "Energy Tidbits" flyer: here's an example. Also read the project report. Halalt's Energy Efficiency Initiative aimed to build internal awareness of and capacity for energy efficiency and to prioritize energy savings retrofits for existing homes. 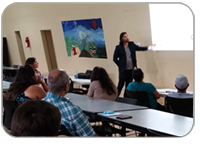 Project activities included a community workshop to help build awareness about energy consumption and the review of home energy assessments to provide information for prioritizing renovation projects with the greatest potential to save energy. Read the project report. Shxw'owhamel First Nation has a goal to ensure that local construction and maintenance personnel are knowledgeable about home energy systems and are capable of carrying out necessary energy efficiency measures. 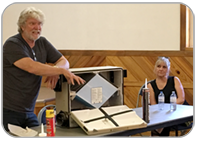 Shxw'owhamel hosted two-day training sessions to teach about how to properly air seal existing homes and new construction. The two-day session included class sessions and hands-on training. Lytton First Nation hosted the Lytton Solar Energy Workshop on May 30, 2017 for Lytton community members as well as surrounding Nations. Presenters included W Dusk Group, Canadian Energy, and BC Hydro. BC Hydro’s outreach team hosted a booth providing tips and advice around saving energy for homes. W Dusk Group spoke about working with First Nations around BC on solar energy installations. Given the high cost of electricity in the Gwa’sala-‘Nakwaxda’xw Nation (GNN), the community wanted to develop a Community Energy Plan and to explore alternative, energy efficient technologies. 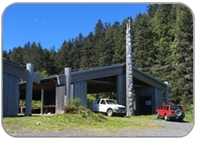 Two representatives from the Gwa’sala-‘Nakwaxda’xw Band Office traveled to Skidegate, Haida Gwaii to consult with representatives on their approach to the Community Energy Plan and how to use alternative technologies to reduce the cost of electricity in the community. GNN also aimed to learn how to encourage self-sufficiency in providing community energy needs and eliminate their dependency on diesel power generation. Lower Nicola Indian Band hosted a community workshop to raise awareness about energy efficiency, indoor air quality and ventilation. The workshop provided advice on how to improve the energy efficiency of homes and save money on occupants’ utilities. A trainer demonstrated the operation of a heat recovery ventilation unit, showing the internal components and the operation.